I was invited to Google+ (a.k.a. G+, Google Plus or Plus) the other day and thought Christmas had come early. I am what they call an “early-adopter” or pioneer as I try everything as soon as it is announced. I instantly activated my account and started inviting associates to Google+ only to find out that my associates are not quite ready for Google+. If you are interested in an invite please email me at marketingguy@shaw.ca. It is Google’s Answer to Social Media. Google+ is Google’s version of Facebook. You can share content (such as text, photos, video, etc.) to a network of contacts. Your contacts can respond and rate your shared content in turn. You can add contacts, block them, connect to other services like Twitter, and much more. It is also going to replace separate Picasa and YouTube accounts and act as the main interface for your photos and videos. How does it compare to adding Friends on Facebook? Instead of lumping all of your contacts into one category, Google+ offers Circles. These Circles give you the ability to sort all of your contacts into separate groups based on the nature of your relationship. You can then select which circles you want to be included whenever you share something on Google+. For example, you could have a circle for your family members where you share pictures of your kids and other family news, while keeping a different circle for your friends and even another circle for just acquaintances. By sorting your contacts in this fashion, the information you share can be much more targeted, and in turn, more relevant to the people you’re sharing with. Where does LinkedIn fit in? Google+ seems to blend the functionality of Facebook and marry it with the professional environment and discussion topic types of LinkedIn. On top of all that, Google+ functions a bit like Twitter too, in that you can follow someone’s updates regardless of whether they are following you or not. Google+ currently does not do a great job it comes to things like showcasing your experience and professional recommendations, as LinkedIn does, but it will be a leader in industry specific content sharing and discussion groups. 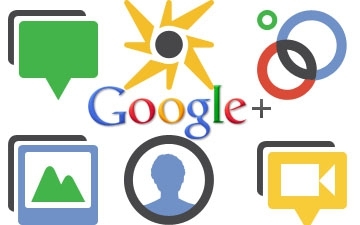 Additionally, Google+ enables users to allow other people to contact them via email, regardless of whether they are in each other’s circles or not. While not everyone will leave this feature on, for those that do it will open a great avenue for new business contacts. From everything I have read, Google seems to be throwing a lot of resources into this product and it is filling a void between Facebook for businesses and LinkedIn. By bundling their other products into Google+ I think it is going to be an essential part of social media for businesses. Where does the Plus1 button fit into this? Here’s how Forbes explains it: “With Google+ using the +1 button as a way to endorse a post by a contact, the overall vision for +1 is revealed to be a bit grander. 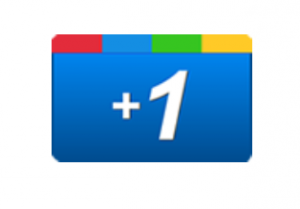 Google envisions +1 as the tool that ties together all user-endorsed content across the web. Whether you +1 something in search results or a photo that your friend took of his dog and uploaded to Google+, you’re contributing to your personal version of Google’s search algorithm, meaning that content may eventually be served to you differently based on your +1 behaviors. So should you embrace this new social media? In my opinion yes. Previous Post Are Daily Deals Going To Help Your Business? Or Hurt Customer Loyalty? Could you invite me to G+?